Open House New York provides broad audiences with unparalleled access to the extraordinary architecture of New York and to the people who help design, build, and preserve the city. Through its year-round programs and the annual OHNY Weekend, Open House New York celebrates the best examples of design and planning throughout the five boroughs, from historic to contemporary, and helps foster a more informed conversation about how architecture and urban design sustain New York as a vibrant place to live, work, and learn. 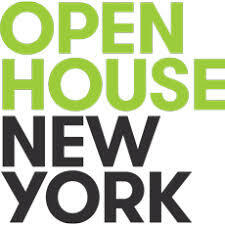 Open House New York is a 501(c)3 nonprofit organization.